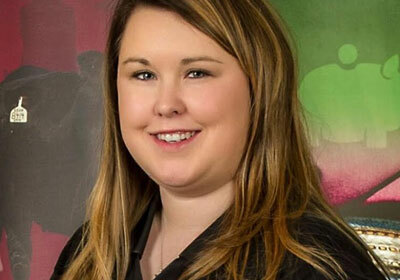 BioZyme Inc., manufacturers of Amaferm®, VitaFerm®, Sure Champ® and other proprietary, natural supplements for cattle, swine, poultry and show livestock, recently hired Erin Creason of Polo, MO as Inside Sales Coordinator. In her new position, Creason is responsible for working with BioZyme’s nationwide dealer network to help them grow their businesses. “In the short time since Erin’s hiring, I am already seeing significant progress in our ability to reach out to our dealers and their customers. Erin has a command of animal husbandry and nutrition and does a fine job relating our products’ benefits to the needs of livestock producers,” said Dennis Delaney, Director of Inside Sales. Creason grew up on a farm in northwest Missouri raising show pigs. She and her husband currently own and operate Creason Genetics where they raise and exhibit primarily Berkshire pigs throughout the country. Prior to BioZyme, Creason worked as Director of Inside Sales for American Midwest Distributors in Kansas City, MO. She has a Bachelors in Agriculture Science with an emphasis in Agriculture Education from Northwest Missouri State University.